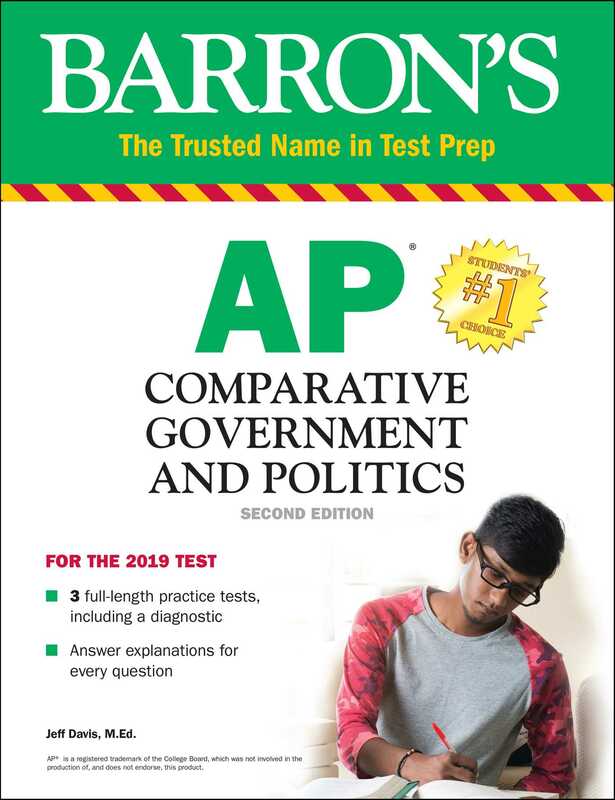 Barron’s new edition of AP Comparative Government and Politics provides everything you need to review, simplify, and understand the most important concepts on the AP exam. This must-have guide provides an in-depth study of the governments of six nations: Britain, Russia, China, Mexico, Iran, and Nigeria. One diagnostic test, two practice tests, and thorough answers and explanations help you test your knowledge. The first six chapters address general concepts with illustrations about specific countries. The final six chapters address each of the six countries individually and are organized by the six topics of study as headings within each chapter, making it easy to find the information you need to prepare and succeed on the AP exam.